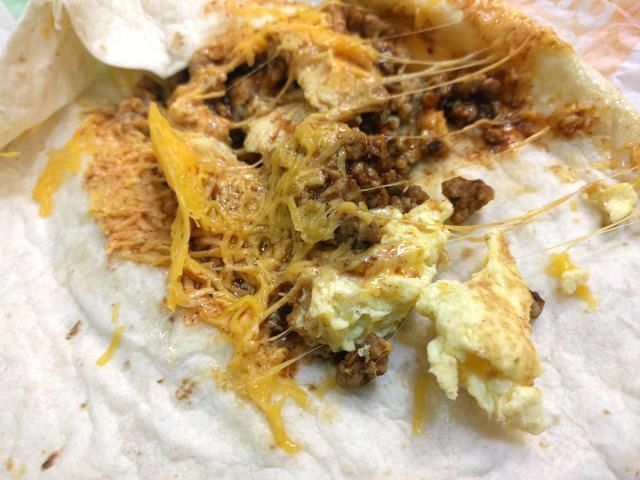 Del Taco's Chorizo Half Pounder Burrito features chorizo with scrambled eggs, grated cheddar cheese, and zesty red sauce, in a warm flour tortilla. I got two of these for $4. The sausage came in crumbles with a nice, seasoned profile reminiscent of the beef for their tacos, but more intense. It's a nice change up from the more peppery or herb-y notes that tend to accompany breakfast sausage. Beyond the sausage, the cheese was moist and plentiful and the eggs were nice and fluffy, but the red sauce was a bit too strong and/or plentiful against the more mild ingredients. It's tanginess overwhelmed the more subtle flavors of the sausage especially. I found myself wishing for a lot less of it. 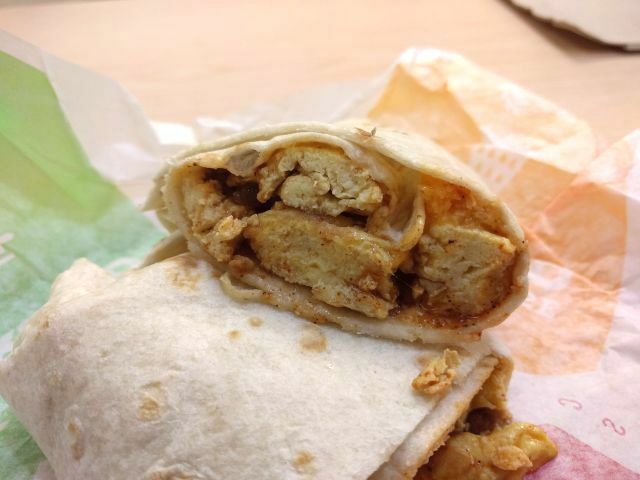 At the end of the day, Del Taco's Chorizo Half Pounder Burrito was generally well made and the chorizo sausage is a worthy addition to their breakfast repetoire. 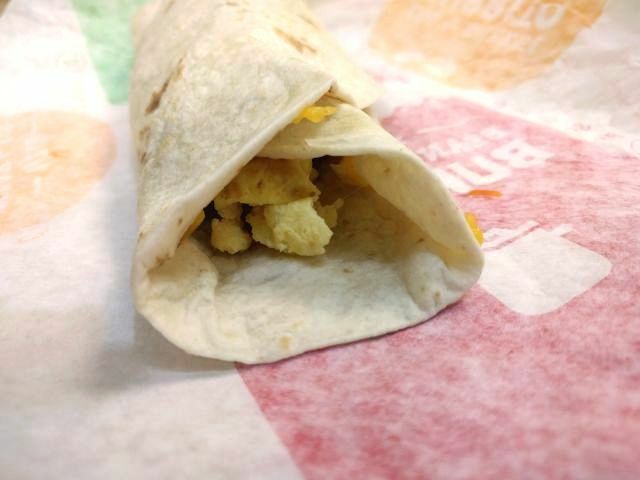 I'd get it without the red sauce or with the red sauce on the side though. I wonder if pico de gallo would work out better.